Under her leadership, Bartlesville established the Oklahoma School Insurance Association, which initiated self-funded worker's compensation in Oklahoma. BARTLESVILLE, OK, August 21, 2018 — Imogene Klutts Chambers has been included in Marquis Who's Who. As in all Marquis Who's Who biographical volumes, individuals profiled are selected on the basis of current reference value. Factors such as position, noteworthy accomplishments, visibility, and prominence in a field are all taken into account during the selection process. Born in Okfuskee County, OK in 1928, Dr. Chambers began working in the field of education in the late-1940s, upon earning a Bachelor of Arts from East Central University. After graduating, she began working as a high school mathematics teacher for Marlow Public Schools. 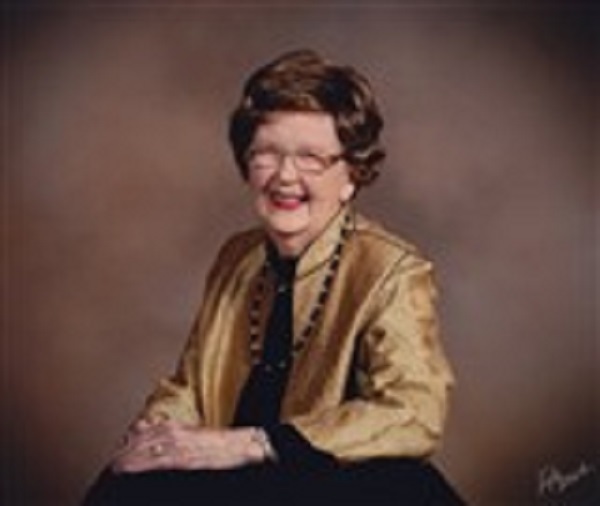 In 1950, she began a nearly 45-year-long career with Bartlesville Public Schools, retiring as treasurer and assistant superintendent of business affairs. Under her leadership, Bartlesville established the Oklahoma School Insurance Association, which initiated self-funded worker's compensation in Oklahoma. She also led the fight for the implementation of the Uniform Cost Accounting System on a statewide scale. During her time with Bartlesville, she also worked as a financial accounting consultant for the Oklahoma State Department of Education. An expert in her field, Dr. Chambers earned a Master of Science and an EdD from Oklahoma State University. She attributes her success in education to a combination of her parents' influence, her educational background, and her plethora of professional experience. She is a former member of the Oklahoma Association of School Business Officials, and the Association of School Business Officials International, and a life member of The Oklahoma Retired Educators Association, the Washington County Retired Educational Personnel Association, Oklahoma State University Alumni Association, and East Central University Alumni Association. In order to share her knowledge, Dr. Chambers authored “The Evolution of School Financial Accounting: The United States from 1910 to 1980 and Oklahoma from 1907 to 1980.” For her excellence in education, she has been recognized with the Eagle Service Award by the Association of School Business Officials International, which was the highlight of her career. In the near future, Dr. Chambers intends to continue enjoying her retirement to the fullest.